1. Make sure your Home address is correct in eVision - this is where your items will be sent to. 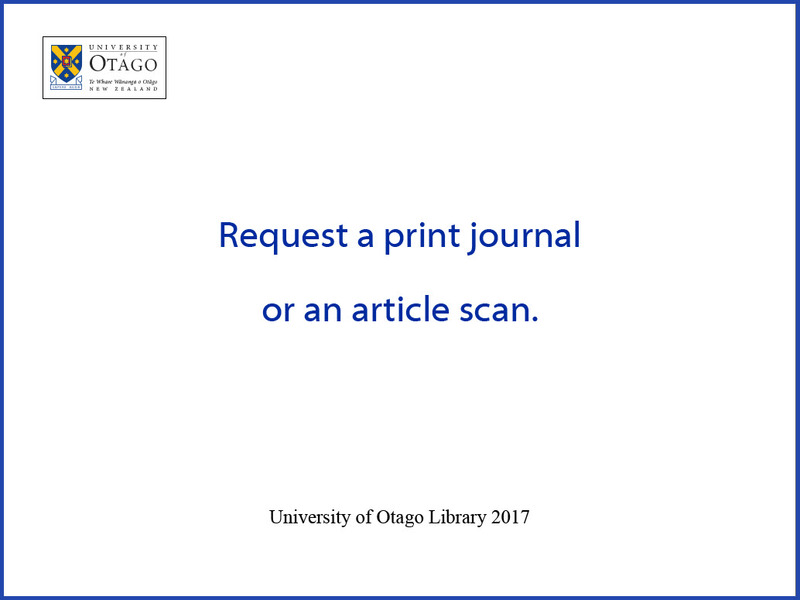 Note: If you have any problems placing a scan request (or require a scan of a chapter of a book that is on Reserve) you will need to contact: ask.library@otago.ac.nz. 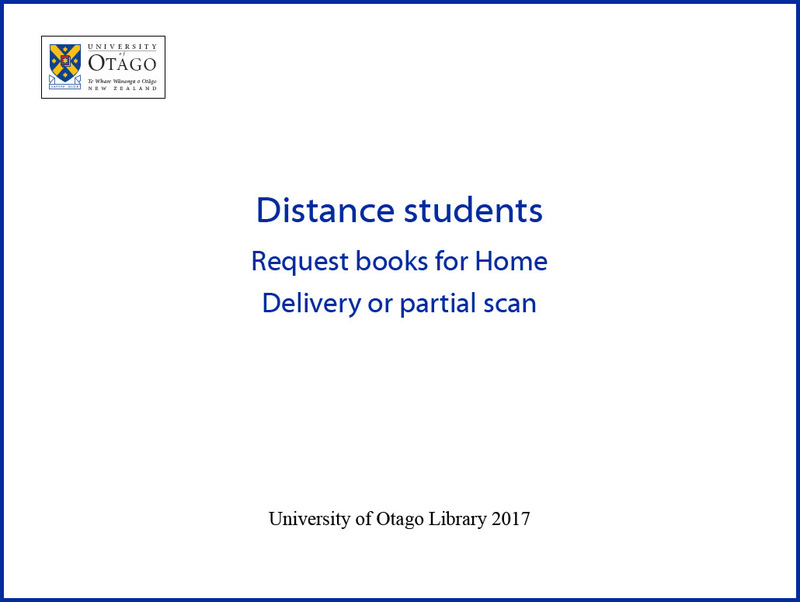 Virtual bookshelf on Library Search I Ketu from University of Otago Library on Vimeo. Now you can search for a book then browse other books in the same subject area using the Virtual Bookshelf - watch the video to see how!